It’s all too easy to see growing your own vegetables through rose-coloured glasses. But home grown products easily can turn out underwhelming: awkwardly-shaped, tough and – worst of all – tasteless. I’ve certainly ticked each of those boxes over the years. Or rather the vegetables have; I’ll leave it to others whether I have personally! 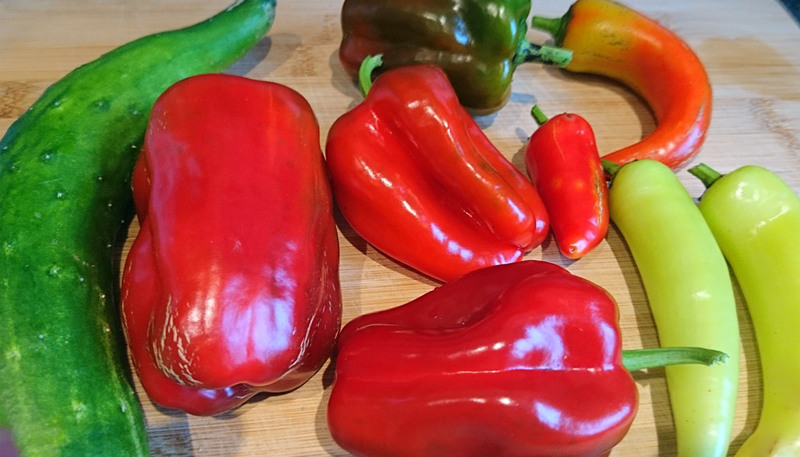 So I didn’t expect anything special when I picked some peppers this week, but ended up blown away by the most delicious red peppers I’ve ever tasted. 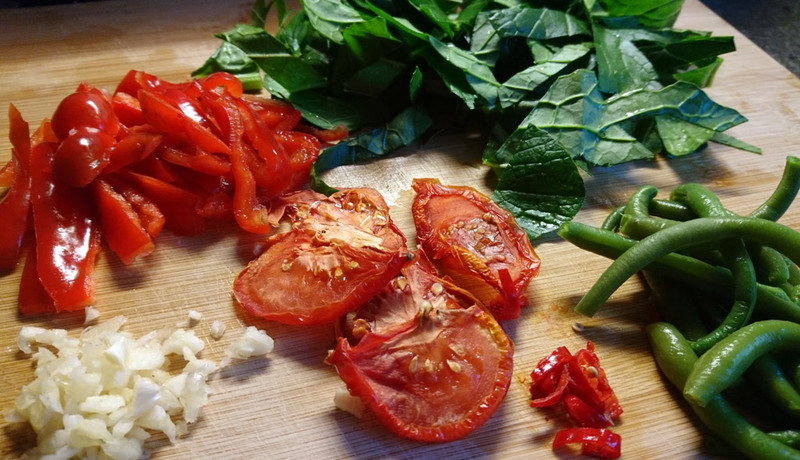 Imagine crisp, raw red pepper but with a deep flavour, savoury and sweet at the same time, with a strong piquant, almost vinegary edge. I make no apologies for over-describing it; the taste was mesmerising. The mysterious but delicious red peppers of my dreams. Accompanied by just-picked cucumber and some other sweet peppers. I grew five varieties of sweet pepper this year: Marconi, New Ace, Carmagnola, Golden Calwonder and Sweet Banana. The problem is I don’t know which was the delicious one.. it was red and block-shaped, which narrows it down to the New Ace or Carmagnola. But it was so good that I’ll happily grow both of those next year to get the same enjoyment. Their close relative chilli peppers have made a late flourish in another of the mini greenhouses. Although riddled with aphids (where do they come from? ), the plants have benefited from a regular feed and most have put some fruit out. The jalapeños are a bit small, but Bulgarian Carrot are a decent size (just not turned carrot colour yet). 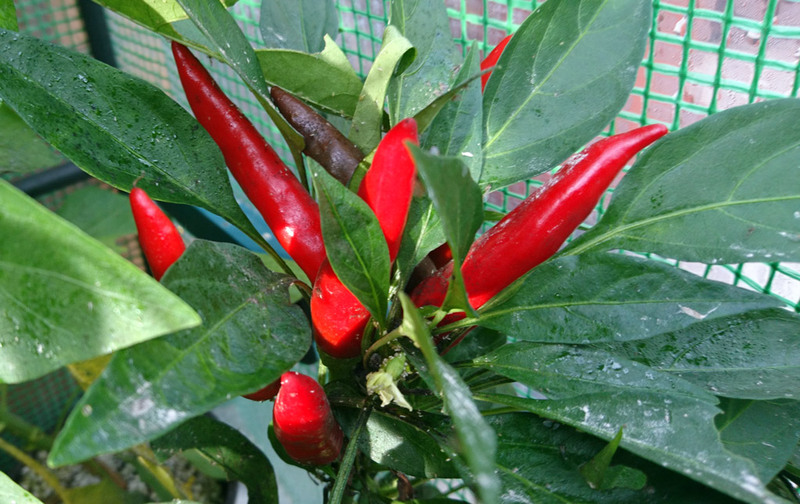 The most visual are the Rosso Guardia Cielo (‘Red Skykeeper’ or ‘Skywatcher’), which produce a bunch of red chillis all at the top of the plant and pointing upwards. Out in the open, after succumbing to a big caterpillar attack, the hardy leaves have been growing back. The perpetual spinach beet is coming along slowly, but already suffering from leaf miner. I must look up what to do about that. But I’m very pleased with the recovery of the dark green Komatsuna. 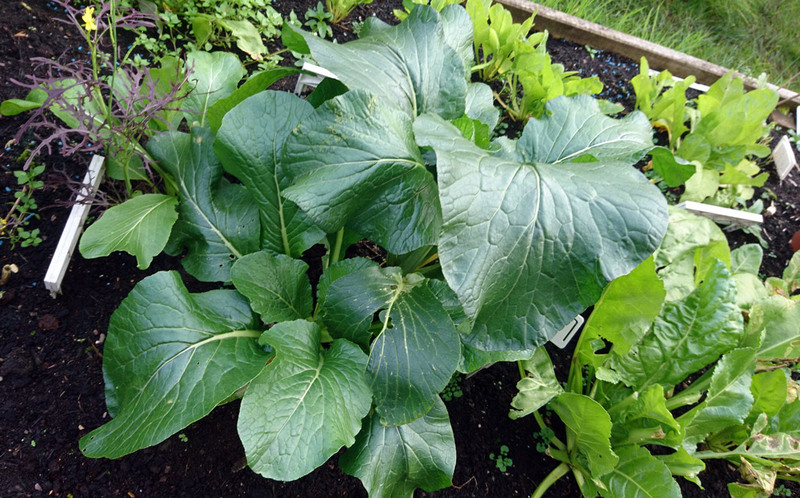 It’s also known as Japanese Mustard Spinach and makes large tasty leaves, which wilt down and become very soft when cooked. 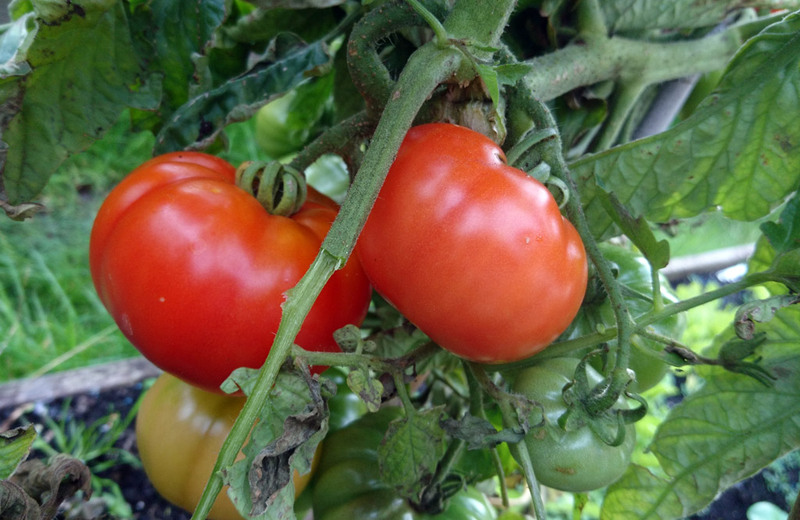 Overlooking the leaves, the tomato plants are reaching their survival limit now, especially as I can see the tell-tale blackening of some of the stems which means they’ve been hit by the dreaded blight. That means picking everything pretty much straight away, whether ripe or not. 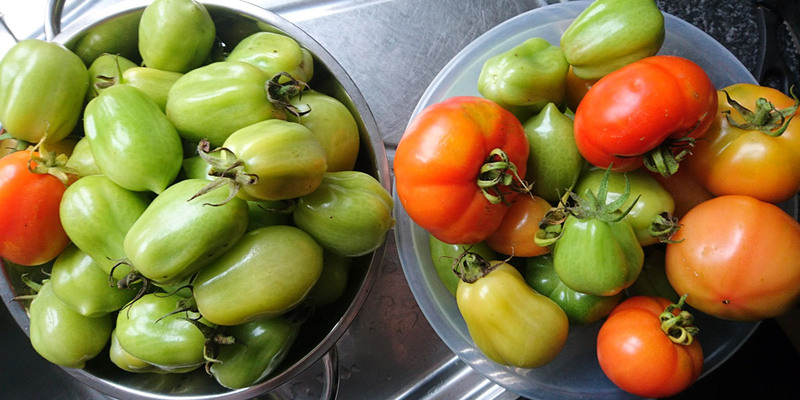 Doing that today yielded several big bowls, mainly the large beefsteak-style Marmande, with a good number of plum-shaped Roma. I’ll be looking for something original to do with the green ones; chutney is a bit routine and I’d rather do something unusual. 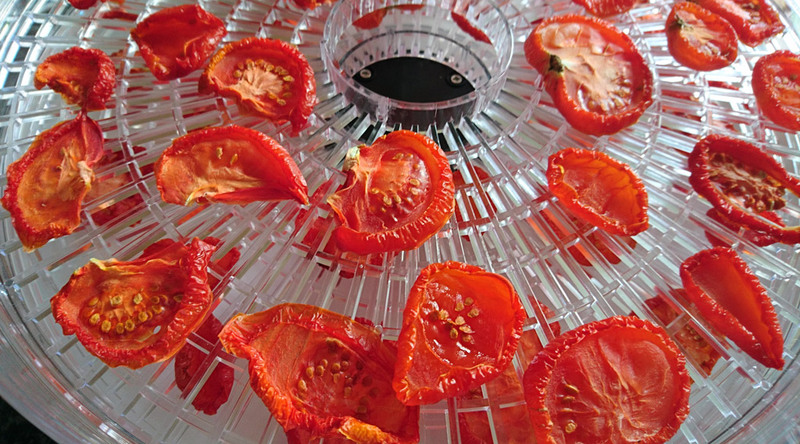 Meanwhile the red tomatoes gave me a reason to christen my new dehydrator. 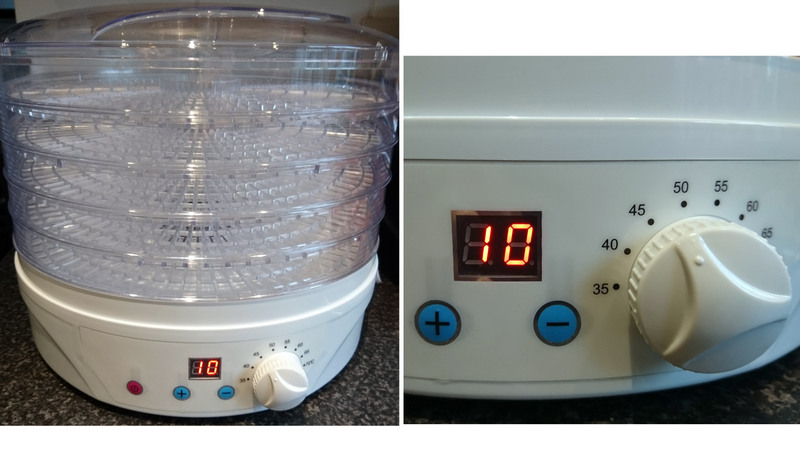 My new dehydrator. The panel allows you to set the number of hours (ten shown here) and the temperature (45 degrees in this case). The instruction booklet recommends ten to twelve hours to dry tomatoes out. 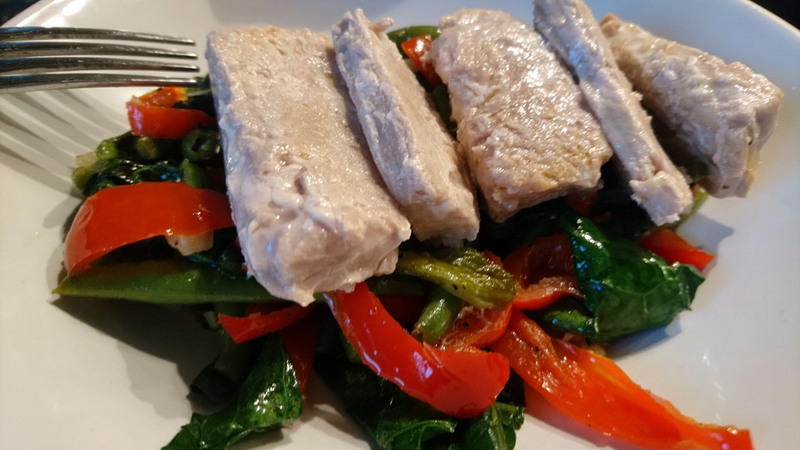 It turned out to take longer than that as – I realised eventually – the warm air is sent up to the top and then flows downwards through the food. That means that food which is wet on both sides really needs turning over half way through so that the other face gets dried. 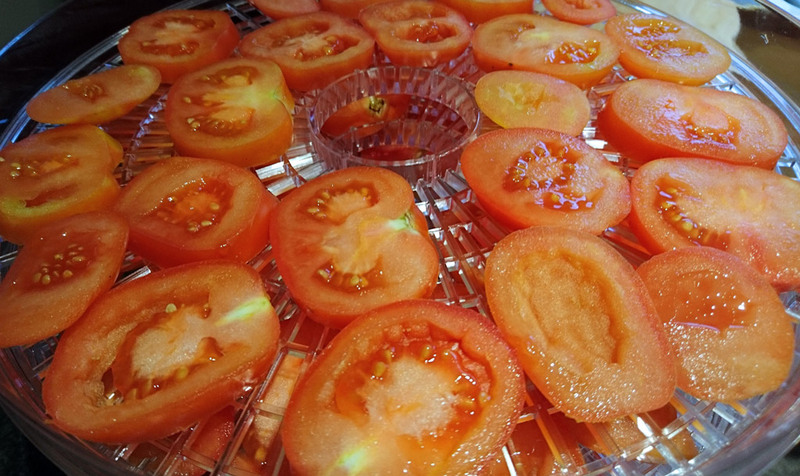 Before: tomatoes thickly sliced and laid out on the drying racks. The tomatoes turned out very nice indeed and I’ve now stored them in a jar in the fridge, covered in olive oil. There’s little risk of them going off as they’re disappearing fast! (Sun) dried tomatoes are famously flavoursome of course, as the drying intensifies the several flavours which make up a tomato’s taste. Other items suit drying just for convenience: herbs for example, which would otherwise become scarce in the winter when they die off. But it’s important not to get carried away and try drying everything. I tried courgettes and they turned out to be like eating discs of bendy shoe leather – not that pleasant at all really. Although they could make useful repair patches for pale green shoes of course.